– Brasileirao fully updated, with real rosters, missing teams added (Corinthians, Flamengo, Bahia and Vasco), and new promoted teams for 2018 season added too (Internacional, América MG, Ceará and Paraná). – Campeonato de Chile fully updated with real rosters and Unión La Calera (promoted for 2018 season) added. – Greek Super League 2017/18 added and playable in Career and Tournament modes, with updated rosters and graphics for all the teams (thanks to Mogolos). – Czech HET liga 2017/18 added and playable in Career and Tournament modes, with updated rosters and graphics for all the teams (thanks to Roman Hovorka and Mogolos). – Chinese Super League 2018 added and playable in Career and Tournament modes, with updated rosters and graphics for all the teams (partially converted from FIFA Online 4). – Romanian Liga I 2017/18 added and playable in Career and Tournament modes, with updated rosters and graphics for all the teams (thanks to Mogolos). – Added 2018 season promoted teams in colombian, korean, japanese, norwegian and swedish leagues (replacing relegated teams). – UEFA Champions League 2017/18 group stage missing teams added in Rest of World. – UEFA Europa League 2017/18 group stage missing teams added in Rest of World. – Al-Ahly (EGY), Auckland City (NZL), Kitchee SC (HKG) and Los Angeles FC (USA) added in Rest of World. – “Rest of world team” with missing important players added. – FIFA Club World Cup, AFC Champions League and CONCACAF Champions League playables in Career Mode. – Fixed Copa do Brasil (now with 20 teams). – Fixed SSE Airtricity League and Irish EA Sports Cup (now with 10 teams, and Waterford added). – Licensed names, kits, minikits and logos for all the unlicensed teams. – Licensed names and logos for unlicensed leagues and competitions. – Fixed Cádiz CF kits (thanks to carrasco1live). – 18 new player faces edited via ingame editor (thanks to decoruiz). – Animated adboards for UEFA Champions League and UEFA Europa League (thanks to Andy). – New animated adboards for Premier League teams (thanks to Andy). – Custom flags for some teams. 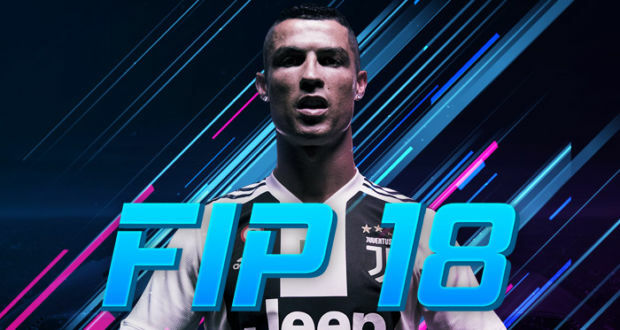 – Two “Classic XI” teams with FUT Icons and FUT Legends. – 24 new manager faces unlocked and real manager names for all teams. – Unlocked all World Cup stadiums in all game modes. – Unlocked all boots and balls. – Uncloked all the new faces added in World Cup update in all game modes. – Unlocked all the new national teams added in World Cup update in all game modes. – FIFA World Cup mode updated with realistic squads and 23 players per team. – Compatibility with all languages.